The Lower Great Lakes Plain covers the low-lying areas to the south of Lake Ontario in New York and to the north of Lake Erie in southernmost Ontario in Canada. 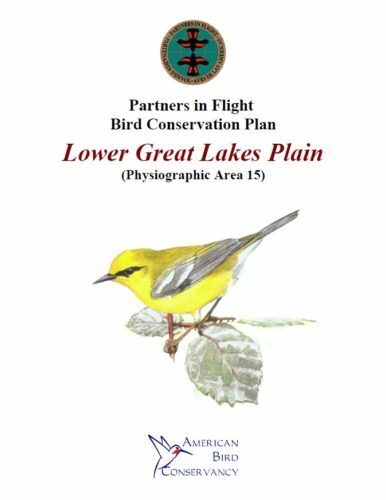 In addition to important lakeshore habitats and associated wetlands, this region was originally covered with a mixture of oak-hickory, northern hardwood, and mixed-coniferous forests. The Carolinian Forest element in Ontario harbors ecological communities, including bird species, that are considered unique and rare in Canada. Unlike in most physiographic areas in the Northeast U.S., roughly 74% of the land area is in agricultural production. In addition, several medium-sized cities (Syracuse, Rochester, Buffalo, Windsor, etc) comprise over 800,000 acres of urban land, or 7.1% of the physiographic area. Several important National Wildlife Refuges, including Montezuma, protect critical wetlands and associated bottomland forests in New York, and Pt. Pelee National Park and several provincial parks are important areas in Ontario.